We got some fresh cod from the store that John cooked to perfection. I made the crema (yogurt, cumin, salt) and sliced some topping vegetables. For the black beans I used a tomato, onion, garlic, cilantro, Fresno chile, a little fresh salsa, and some chicken stock to thin the beans out. 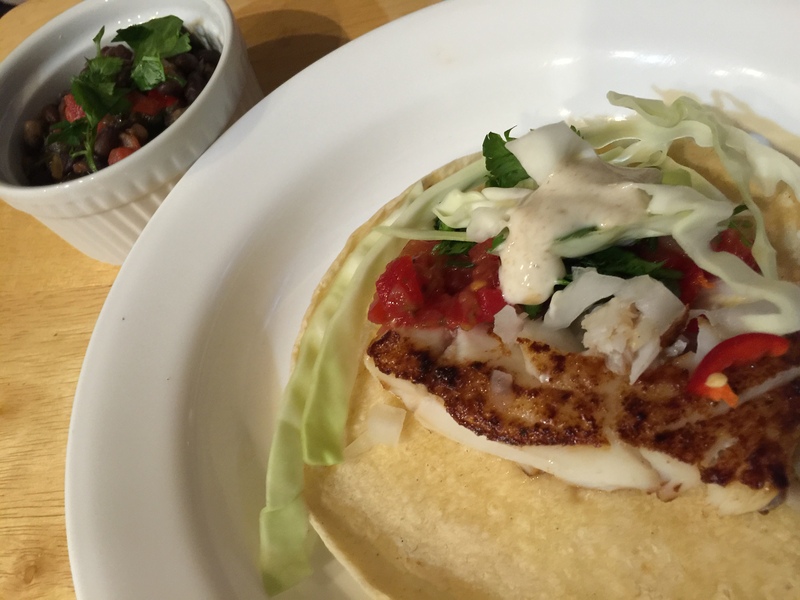 This entry was posted in Fish, Vegetables and tagged black beans, fish tacos, Tacos. Bookmark the permalink.